The weekend was absolutely delightful with sunshine and the chance to be out in it. Cuyahoga National Park is about an hours drive for us so we made it there and had a jolly good time. Sandwiches on the park bench and lots of walking. I wonder why in spite of all the walking my weight persists. I suppose it is the growing figure I encounter in my mirror daily that prodded me to make something a little healthier today. 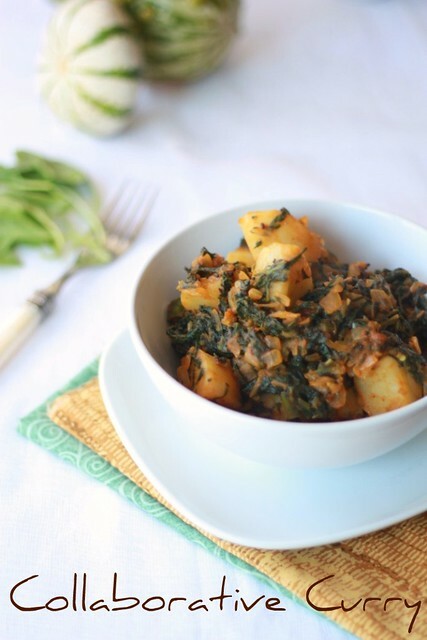 Potato is starch, I agree, but when I see the green spinach on my plate it make me feel like I am eating healthy food. I agree - healthy food indeed... looks yum too! dat looks yummy...i have eaten the curry form but not dry form...will surely try it. this way of preparing potato and spinach is new to me, but it look so delicious! Great looking potato & spinach combo dear.Loved the very look of it. 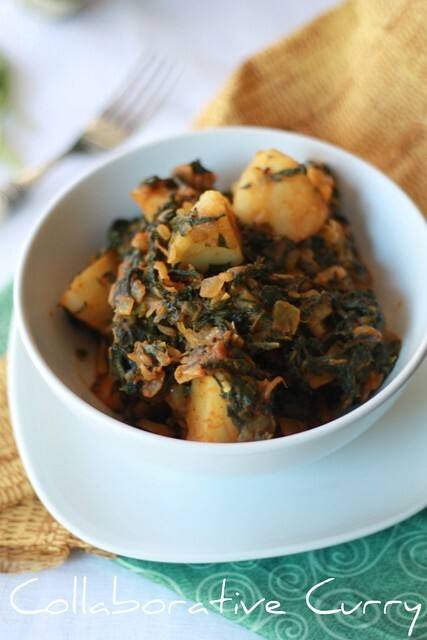 Aamchur and Aloo makes a great combo,tangy and spicy...Addition of spinach has made it healthier and richer in taste.. This dish is indeed healthy. In winter season we used to prepare Palak ki Sabzi and it tasted delicious. Lovely combo!My all time make do curry! As usual lovely photos! Palak potato adipoli . delicious. Oh i love palak aloo, especially with fresh roties :)They look delectable! Simple and tasty dish!! Perfect with rotis..
ithu navee de fav annu...but njan pic edukkumbo orikkalum color shariyayittu varunnilla...ur pics are wonderful!! !